Alien Gear Holsters are known throughout the concealed carry world for their comfort and versatility. Their current line of products is no exception to that reputation. From their ultra-comfortable Cloak Tuck to the minimalist, yet innovative, OWB designs, Alien Gear has a product for your carry needs. The affordable, durable, and comfortable kit is the hallmark of the company. If you haven’t experienced AG, sit back and enjoy the six best Alien Gear holsters based on user ratings. It might be strange to begin a Alien Gear holsters review with a magazine carrier, but the Double Cloak holster is one of the best Alien Gear holsters. Perhaps the most customizable mag carrier on the market, the Double Cloak exudes versatility of carrying. The Double Cloak can be used inside or outside the waistband. Four different and unique belt attachments fit the preferences of any carry system. Magazine buckets are interchangeable and can also be worn as a single. IWB and OWB carry options. Choice of single or double magazine carry. Two, tuck-able IWB belt clips. Comfort or rigid belt slide attachment. When searching for an Alien Gear Holsters review, you’ll encounter several versions of the Cloak Tuck. The most recent iteration of the classic AG Cloak Tuck, the 3.0 offers a new take on comfort and durability. Stainless spring steel is the foundation of a new, patented hybrid base which forms to your hip for comfortable, all-day wear. Soft, breathable neoprene lined with ballistic nylon, interfaces with your skin when using the tuckable capabilities of this holster. Patented, stainless spring steel core. Versatility is a continued theme, even outside the waistband. The Cloak Mod ships with both a belt slide attachment and paddle. Use the belt slide for more secure, permanent gun retention. A convenient paddle is an option for those who must frequently remove their carry piece throughout the day. 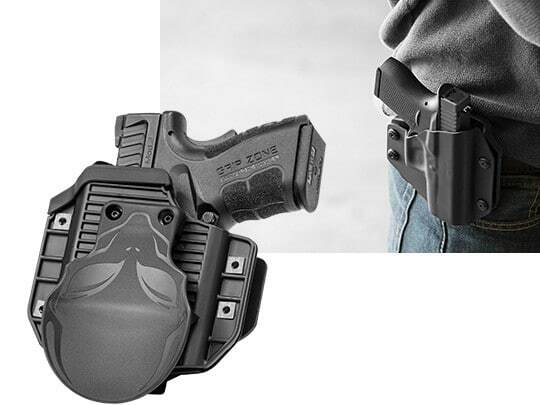 This is one of the best Alien Gear holsters because the adjustable cant and Alien Gear’s universal shell system allow you to use the holster for multiple handguns. Interchangeable paddle and belt slide attachments. 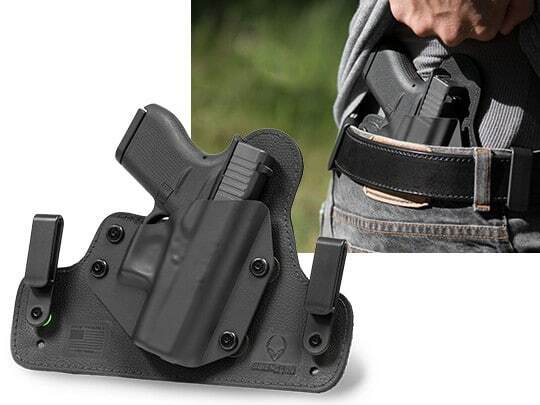 If a slim OWB holster is what you are looking for, consider the Cloak Slide. The thin design is less customizable than the Cloak Mod, but it is surely more concealable. The sturdy leather backing flexes with your body’s movement and is available in black and tan colors. One of the reasons why this one of the best Alien Gear holsters is that the custom molded pistol shells offer good gun retention and peace of mind. Durable leather backing available in black and tan finish. Thin, minimalist outside the waistband style. Quick, secure belt slide attachment. Price: $30.00, +$5 for black leather. No Alien Gear Holsters review would be complete without mentioning the classic Cloak Tuck. This version differs from the 3.0 in construction, but not in comfort and design. The leather base of this hybrid, tuck-able holster is given a waterproofing treatment to resist the effects of sweat and extend the life of the holster. Choice of belt attachments fills the needs of those who prefer ‘J’ clips to the standard ‘C’ clip style. Soft leather loops are also available for a more secure belt attachment system. Hybrid, inside the waistband design. Sweat resistant and waterproof treated leather base. Adjustable for cant and retention. Optional nylon and steel belt clips. Price starts at around $30. Clip options add another $7-$15, depending on your preferences. An Alien Gear Holsters review is a perfect time to introduce AG’s combo packages. Any AG holster can be ordered with the Single Cloak mag carrier. The Single Cloak design offers the flexibility of multiple carry options inside or outside the waistband. 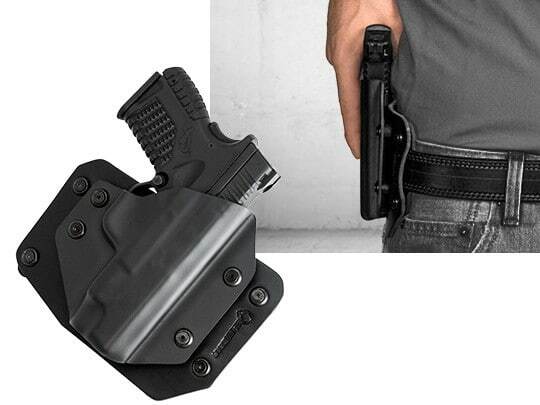 Three hundred sixty degrees cant adjustment makes the Single Cloak ideal for those who have trouble fitting into a fixed vertical magazine holster accessory. Inside or outside the waistband orientation. Includes OWB and tuckable IWB belt clips. 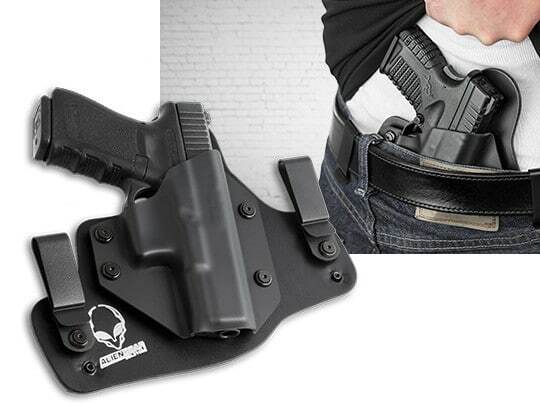 Price: $34, but order from Alien Gear’s site for a $6 discount when combined with a gun holster. Versatility, comfort, and affordability are the cornerstone of Alien Gear products. 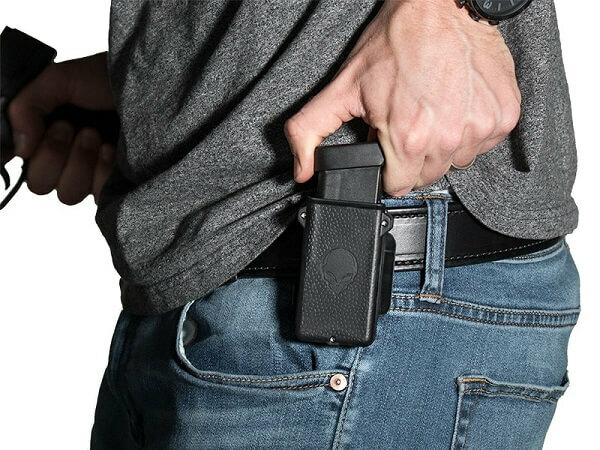 Whether you prefer to carry OWB, or if you want to conceal under a tucked-in shirt, you will surely find the perfect option among the best Alien Gear holsters reviewed above. Hey Buddy!, I found this information for you: "Top 6 Alien Gear Holsters for Efficient Concealed Carry". 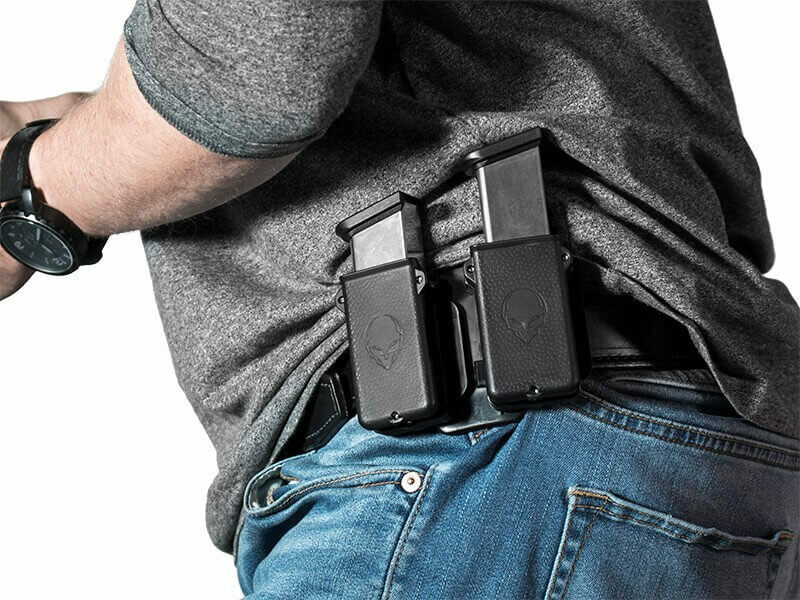 Here is the website link: https://thegunrights.com/alien-gear-holsters-review/. Thank you.